Following the successful completion of its £84 million acquisition last week, Square Enix has announced that UK publisher Eidos shall remain UK publisher Eidos. Eidos has spent nearly two decades developing their brand identity, and that brand identity will remain intact. The company will continue on as an independent organization and wholly-owned subsidiary of Square Enix Holdings Co., Ltd. Square Enix Holdings president Yoichi Wada suggests the arrangement is akin to a more romantic coupling. "This is an exciting beginning to what I believe will be an incredible journey. I am very happy that Phil Rogers has agreed to lead Eidos in what I see as an international marriage between our two companies, a marriage that will give birth to great things. 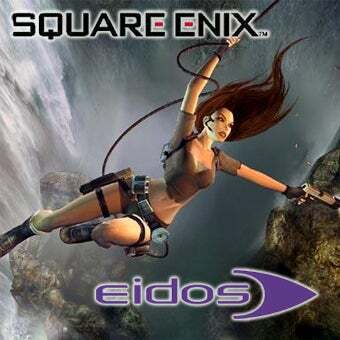 Eidos is a content rich company and a culturally significant business to the Square Enix group." An excellent metaphor, which unfortunately has me imagining the two companies sleeping together. It's too early in the morning for mental images like that.